In a major step forward for usability of OpenSim, Israel-based startup Kitely has created a Website that allows any Facebook user to create, load and enter an OpenSim world in less than two minutes. The world owner can then invite other individual Facebook users to visit, invite an entire group, or allow public access to any Facebook user, at a price of $0.20 per user per hour. The system runs on the Amazon cloud, so regions are only loaded up when they’re needed, and shipped into storage when there’s nobody on them. A user who uses the world by themselves and spends an average of ten hours a week on his region would expect to pay around $8 a month. And a company that invites 100 people to attend an event for an hour, would pay $20 for just that one event. There are no setup fees. A region that is saved on the platform but is not accessed for a whole month costs $0.10 for the storage costs. There is no charge to region visitors. Kitely isn’t the first company to run OpenSim in the cloud. Sim-OnDemand has been offering this service for over a year. And SpotOn3D also offers cloud-based regions, for about $5 per hour per region for up to 100 simultaneous avatars (plus a $25 monthly fee) for their existing hosting customers. But Kitely’s offering is heads and shoulders above the rest in terms of ease and simplicity. I went to the Kitely Website and clicked the giant “Login with Facebook” button. I authorized the service to access my Facebook account, and hit the big blue “New World” button. my hard drive. (You can also download free OpenSim OAR files at OpenSimWorlds.) Then I typed in a name for my region, and decided who should have access — I allowed everybody. The new world was created faster than I could type this. Then I clicked the “Enter World” button and the system downloaded a small plugin. The download is tiny — it’s basically just a little application that launches the Second Life viewer or Imprudence or whatever your default viewer is and does the login for you. If you already have it installed, then you’ve got time to Tweet your friends that you’re doing this. By the time you send off your Tweet, you’re in the world, wearing a default avatar. You don’t need to enter your avatar name and your password like you normally would — Kitely does it all for you and sends you right to the middle of the region you just created. The entire process takes less than two minutes. If you want folks to come, copy and paste the URL from the Kitely website. So, for example, I created one region to check out the VCE assets. Its URL is http://www.kitely.com/virtualworld/Maria-Korolov/VCE-Region — I would then give this URL to my friends and, if they have permission, they can drop right in and visit me. Visiting with Jon Brouchoud on his Architecture Island. If Imprudence is your default viewer, then you can also upload content that you’ve previously created and saved — clothes, hair, shoes, accessories, buildings. Kitely runs on the latest version of OpenSim. This means that it should currently support media-on-a-prim, and already supports mesh, for those logging with with Second Life’s experimental mesh viewer. I wasn’t able to get in-world media to work on my Kitely region. Andrek Lowell was able to import meshes, however. Each region can hold up to 100 simultaneous avatars, and up to 100,000 prims — making it comparable to the best offerings currently available from other OpenSim hosting providers. How can Kitely create new regions so fast? By using Amazon’s EC2 cloud computing platform. Kitely pre-reserves virtual servers, then loads up new instances of OpenSim as they are needed. Loading up a brand-new region takes less than 30 seconds if there are enough servers in reserve. There are no limits about how many regions a single user can have up and running. There is even a “Copy” button to allow a user to quickly create a duplicate of a region. For example, you could have people using an older version of a region while you’re building out a new, improved version. Or you could use the copy function to archive multiple versions of the same build — or quickly roll out lots of identical regions for a large-scale event. To keep the loading time as short as possible, the sim is kept running for a few minutes after the last user leaves. That way, if there’s an accidental disconnect, getting back in is even faster, Tochner said. “We want to make using virtual worlds as simple as making phone calls,” he said. However, if there’s a sudden spike in usage, Kitely will need to request additional servers from Amazon. This process is automated as well, but it takes longer, Tochner said. Behind the scenes, all the Kitely regions are actually located on a single grid. This allows users to access their avatars and personal inventories no matter which sim they’re visiting. For example, I was able to create an object on my region, then log into another user’s region and put the object down on the ground. In addition, I was able to create a new shirt and wear it — and I was still wearing that shirt when I logged in elsewhere. However, in-grid teleports from one region to another are not currently enabled, and neither are hypergrid teleports to other OpenSim grids. One reason is security — each region currently has its own access list, its own logins and passwords, though this is transparent to the end user. “We really think of it as people having different worlds, but in the same universe,” Tochner said. The first item on the development agenda is allow people to give the company money. Today, the only way to get Kitely Credits is to register for an account, create a region, and invite users. Kitely gives free credits to users who complete those steps. There’s currently no way to pay for additional credits. A related feature will be an in-world economy, allowing users to pay a fee to attend a meeting on another region, or to buy or rent assets like conference calls for special events. The company hasn’t decided yet whether to make Kitely Credits fully convetible. One option is to have two currencies — a fictional currency for games, and a convertible currency for other purposes. For example, Kitely may allow the convertible OMC currency from Virwox. Meanwhile, users can accept PayPal in-world, Tochner added. Another critical item on the agenda is adding voice. “This is something we think is extremely important,” Tochner said. However, the best voice option — Vivox — is priced on a per-region basis and wouldn’t work well in this model. Whisper works like Vivox — it’s fully directional, and supports speaker indications. And it’s free. However, it is not currently installed by default in viewers. One possibility is to install it for users as part of the Kitely plugin. “That should give us flexibility,” Tochner said. Another to-do item is allowing individual sims to be larger. “Currently, each world is just a single region,” he said. Larger worlds could come in the form of megaregions, he said. Another future option will be to allow users to locate new regions next door to existing regions, so that visitors can walk or fly between them. 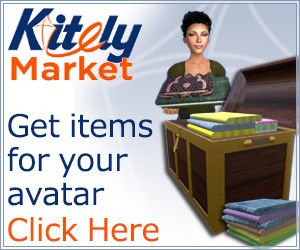 Today, Kitely automatically loads the default Second Life viewer. But some users may want to access their regions with, say, Imprudence — which allows the export and upload of individual objects. “We’re already thinking of solutions for switching on demand,” Tochner said. 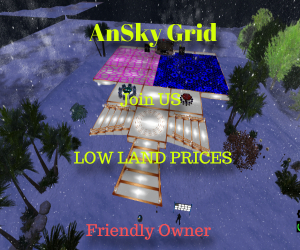 Hypergrid teleports are also on the company’s to-do list, allowing users to visit regions on other grids to meet friends, attend events, or shop for content. If a region owner is worried about strangers coming in and stealing content, they can set the permissions so that only their friends are allowed access. However, if content is stolen, and reappears on another sim without permission, then Kitely will immediately respond to DMCA take down requests. “We want to be as content-owner friendly as we possibly can,” he said. In fact, the Facebook login feature was specifically chosen to reduce griefing, since Facebook does not allow anonymous accounts. Finally, the most controversial aspect of Kitely — the Facebook login — will also evolve, he said. Other options will include LinkedIn, Twitter, and OpenID authentication.And enterprise clients will be able to authenticate users via their corporate directories. People will also be able to create multiple anonymous avatars and link them to their master user account, Tochner said. However, individual sim owners have the freedom to not allow such users to visit their sims. Kitely began testing the service a few days ago, Tochner said, in super-secret stealth mode. 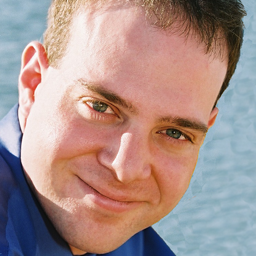 Tochner and his co-founder, Oren Hurvitz, began working on Kitely in 2008 as a bootstrapped project. Hurvitz worked on it around a job at another startup. Tochner was a stay-at-home dad who worked around his child’s sleep schedule. The approach Kitely is taking could, in theory, be used by other grids. “One of the problems that Second Life itself has, and one of the reasons they’re charging so much, is they’re charging per land instead of charging by user time,” he said. 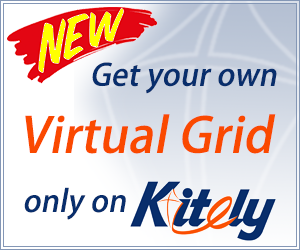 Companies looking to use Kitely to run their own grids will soon be able to do that, he added. This includes an option where the management of the grid takes place behind a corporate firewall, for extra security – though the regions themselves will still be run in the Amazon EC2 cloud. Kitely is also developing an API so that corporate clients can use the service transparently. “We are a behind-the-scenes utility,” Tochner said.